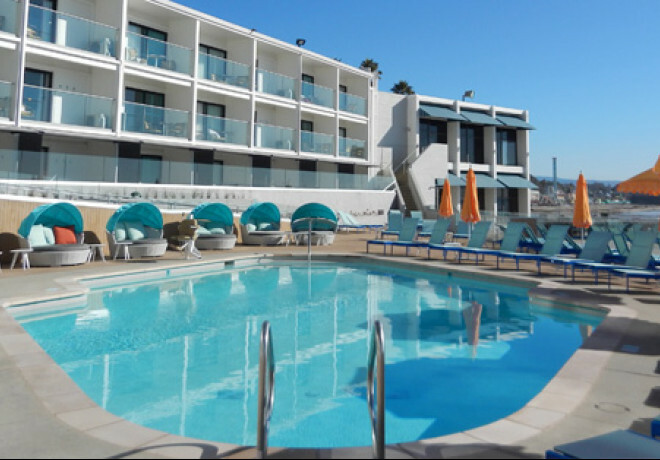 Soak in the sunshine from our newly renovated pool area, with direct access to Cowell Beach. Swim, float or wade in the heated outdoor swimming pool or take a dip in the hot tub. 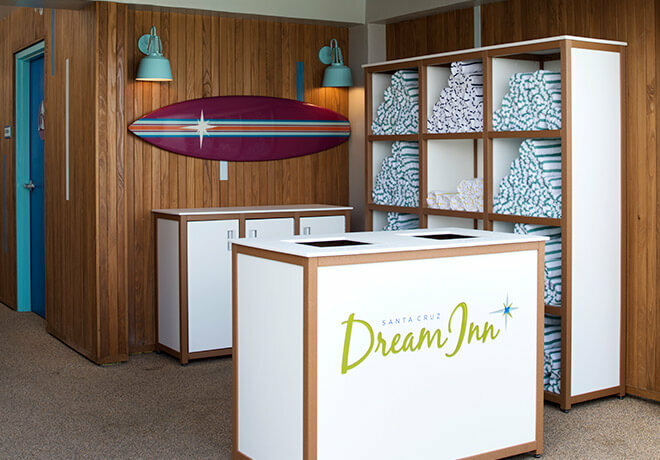 When you are ready, wrap yourself in a plush towel and relax atop a chaise lounge or unwind and enjoy the beach views on a pillow-lined convertible cabana bed. 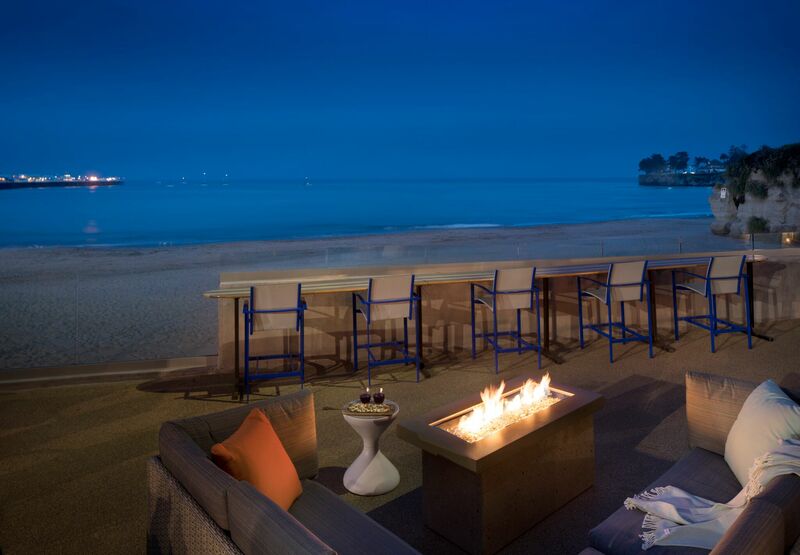 Watch the waves while cozying up to a fire pit or enjoy the sunset with a cocktail from the pool bar. 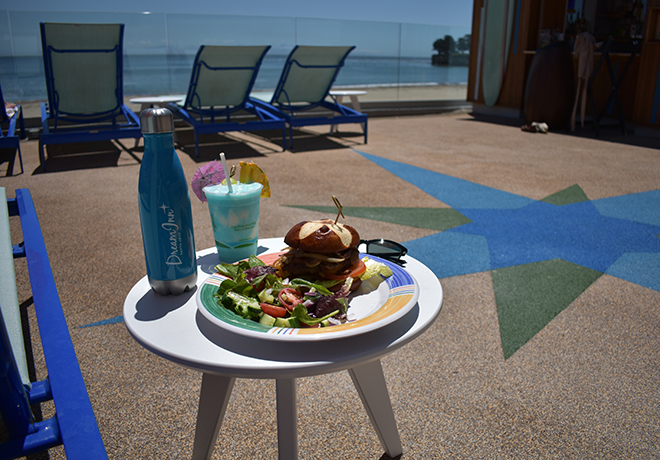 Snacks and drinks are served from Shorebreak Drink + Dine poolside bar. The Pool is open daily from 7:00am - 10:00pm. Shorebreak Drink + Dine is open daily from 10:00am – Sunset. *Offerings are restricted to guests for use during their stay. Enjoy poolside dining and refreshing drinks or cocktails. Shorebreak offers a delicious selection of light meals, hardy snacks and simple favorites. Indulge under the sun, umbrella, or in one of our convertible cabana beds. All major credit cards accepted. We’ll set you up with pool wristbands at check-in, please wear this to the pool and you’re all set! We do have umbrellas on the pool deck, but for your safety they can’t be moved. Don’t forget sunscreen!